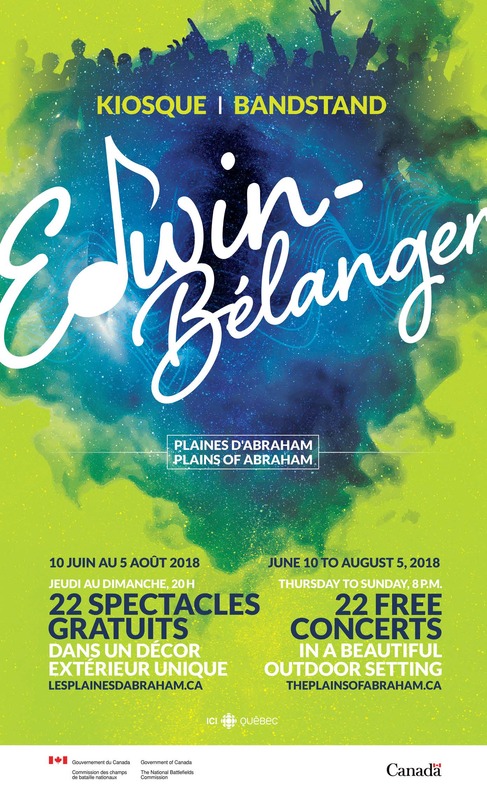 In the heart of the Plains of Abraham, a stone’s throw from Musée national des beaux-arts du Québec, rediscover the magnificent stage of the Edwin-Bélanger Bandstand. A standout program of twenty-four free shows will be presented this summer, from Thursday to Sunday. It’s a one-of-a-kind setting in the heart of nature where you will discover and enjoy well-known artists and tomorrow’s headliners. 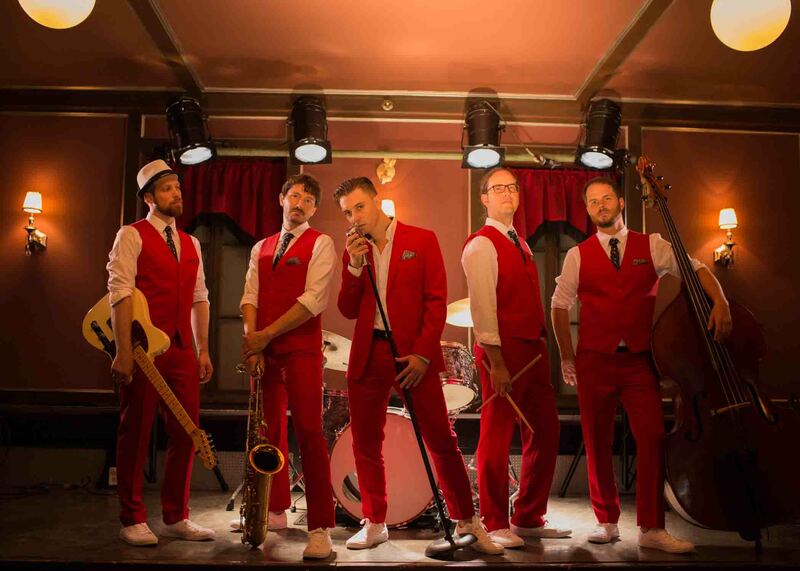 Whether you come out for blues, folk, pop, or world music, these concerts will sure inject a little extra sunshine into your summer. June 16 to August 11, 2019. Thursday through Sunday, at 8 p.m.
2019 Program will be available in the Spring. Watch videos, read news or share your favorite shows with others on the Facebook page of the Edwin-Bélanger Bandstand. The weekly schedule will also be available by phone with the infoline: 418-648-4050. You can consult the previous line-up in the Informations tab. Through environmental concern, the National Battlefields Commission is taking an even greener turn and won't print the program leaflet anymore. We invite you to consult the program online. Naturally, for the first national historic park in Canada! "Musicians may come and go, but the music remains…"
Inaugurated in 1993, this musical bandstand, which comes alive during the summer, was named after a distinguished personality who greatly contributed to the growth of Québec City’s musical scene: Captain Edwin Bélanger. A violinist, viola player, conductor, arranger, composer and teacher, this Montmagny native was one of the founders of the Cercle Philharmonique de Québec, an institution he brilliantly directed for seven years. For nine years he also held the reins of the Orchestre Symphonique de Québec, brightening its repertoire with variety and boldness. It was also during this mandate that this inspired man with a heart of gold set up the Matinées symphoniques de l'OSQ, to arouse in children a taste for the magic of music. His 24-year involvement in La Musique du Royal 22e Régiment helped publicize the pieces played by this regiment throughout the world. He was also president of the Association des musicians de Québec. After enjoying a long-standing, rewarding career, Mr. Bélanger passed away on January 14, 2005, at the age of 94. Many musicians and music lovers will treasure lasting memories of this great man who left his mark on Québec City’s musical and cultural landscape. The National Battlefields Commission asked you to choose the winner of the Favorite Show for 2018 award. According to the ballots tallied, the artist who enchanted audiences most is The Fat Cats. Congratulations! A drawing has been held among received ballots and the winner is Mrs. Nathalie Duclos. She won a family day pass of summer activities on the Plains. Congratulations! You will find the pavilion near the Edwin-Bélanger Bandstand. This is a friendly rest area where you can have coffee or ice cream among friends. The pavilion houses various services that can help make your visit as enjoyable as it can be. Come and have a snack with fastoche! that offers a socially responsible high-end sandwich bar for quick, perfect while waiting for a show at the Bandstand! Please take note that swimming is prohibited in the Centennial Fountain, adjacent to the Pavilion, even for pets. September 2 to mid-June: from 8:30 a.m. to 4:30 p.m.
All shows begin at 8:00 p.m. The program may be modified without prior notice. On show evenings you can either walk, take a bus, car pool or for $9, park your vehicle near the Edwin-Bélanger Bandstand. Our parking attendant will be waiting for you at the green tent from 5:00 p.m. every day. Take the Wolfe-Montcalm Avenue opposite the Musée National des beaux-arts du Québec and head for the Edwin-Bélanger Bandstand. When you use this service, your contribution allows the National Battlefields Commission to continue offering high-quality entertainment free of charge. 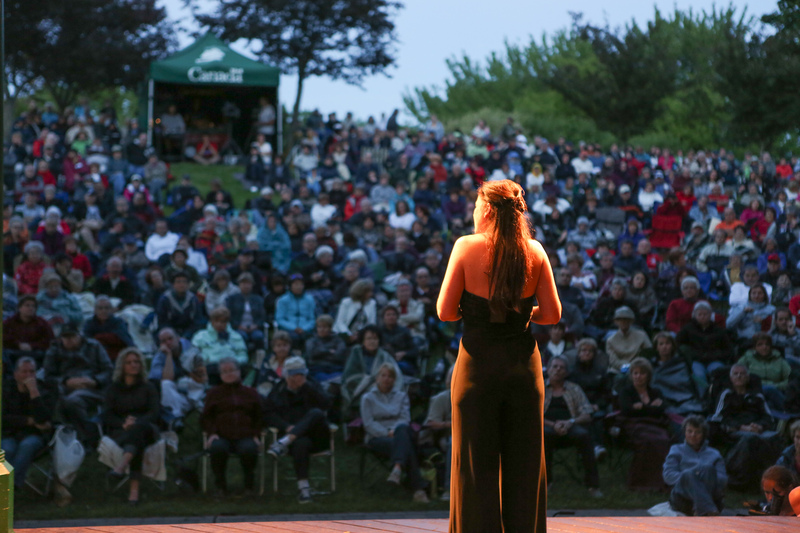 The National Battlefields Commission would like to remind the Edwin-Bélanger Bandstand enthusiasts that the shows can only be cancelled if the weather poses a threat to the artists or the spectators. Such a decision will be taken during the evening, at the time the show would be scheduled to begin, to give Mother Nature a fighting chance to cooperate. The Commission makes a point to present quality entertainment according to the schedule, and cannot postpone a cancelled show, nor host it elsewhere. Please note that only artists selected will be contacted, and materials submitted will not be returned. The deadline for your application is March 15, 2019. 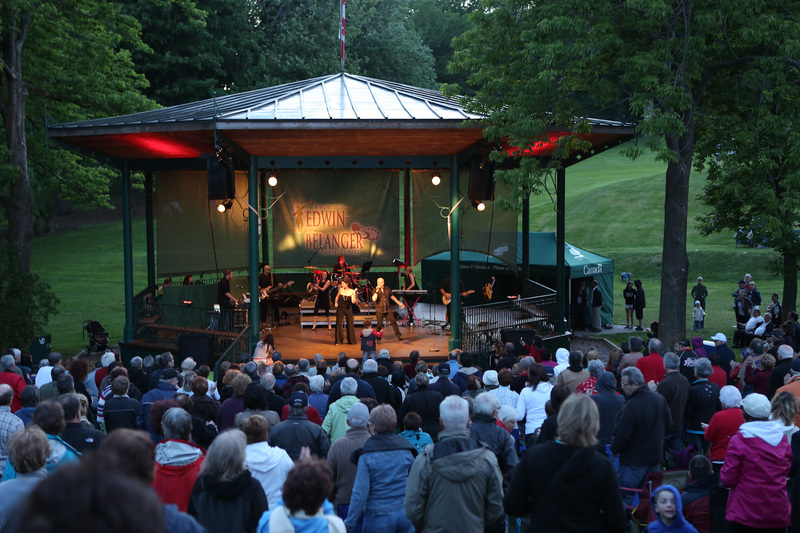 Shows are presented at the Edwin-Belanger Bandstand since 1993. Consult our prior program!